Dolores S. “Dodie” Herdey, 82 of Mooresville, passed away January 23, 2019 at The Gathering Together. Born July 12, 1936 in Minneapolis, Minnesota, she was the daughter of the late Joseph Andrew and Rose Anna (Majchrowicz) Sroga. She married Charles William Herdey on June 3, 1960 in Minnesota and he preceded her in death in 2015. Dodie worked as a proofreader/typesetter for Howard Sams for several years, retiring in 1998. She enjoyed reading, knitting, gardening and most of all, spending time with her grandchildren. 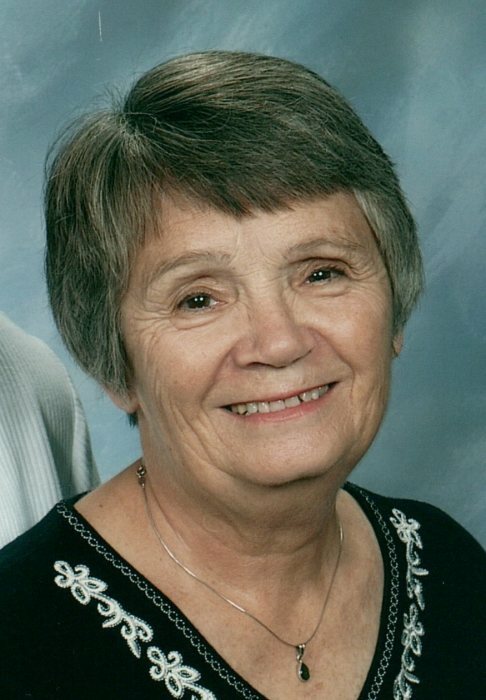 Dodie was a member of St. Susanna Catholic Church in Plainfield. Survivors include her children, Jared (Stacy) Herdey of Plainfield, Chanda (Andy) Deck of Geist, Dacia (Eric) Foster of Avon; siblings, Stan (Jan) Sroga, Dolly Brickner, Joe (Roselyn) Sroga, Kathy (Joe) Norton, Donna Edwards (Mel); grandchildren, Sarah (Ethan) Wilson, Sadie Foster, Payton Herdey, Haylie and Sydnie Foster, Kamrie Foster, Ellie Deck, Carlie Deck, Ashley (Vince) Kenney, Clint (Lindsey) Garrison and her beloved dog, Sophie. Funeral services will be at 1:00 pm on Friday, January 25, 2019 in Hall-Baker Funeral Home, Plainfield, with burial to follow in Maple Hill Cemetery. Visitation will be from 11:00 am until the service in the funeral home. In lieu of flowers, contributions may be made to The Gathering Together 147 N Center St Plainfield, IN 46168.